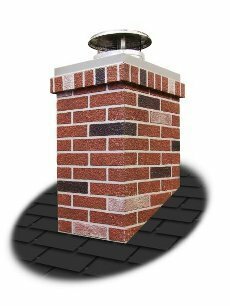 Safety inspections are all well and good, but they can sometimes be the prelude to a chimney repair scam. New Jersey Attorney General Paula Dow recently sued a chimney cleaning and repair company accused of using high-pressure, deceptive tactics to mislead consumers – including several who were elderly or had disabilities – into paying thousands of dollars for repair services they did not need. Far from enhancing safety, a scammer who isn't properly trained might make your chimney unsafe. By performing shoddy work, for example, the untrained repairman could create the danger of carbon monoxide leaks into the house. The dangers from a chimney are real. After years of heavy use, a fireplace may build up a thick coat of creosote, a flammable tar-like substance, lining the chimney. Sparks from a fire that float up the chimney can ignite the creosote, causing extensive damage and even completely destroying your home. However, it takes years for dangerous levels of creosote to form. If your chimney has been cleaned in the last year or two, it is unlikely to be in need of it now. If you have just moved into a home and are uncertain in the chimney has ever been cleaned, it's a good idea to have it cleaned and inspected before using the fireplace. Besides creosote buildup, masonry fireplaces – especially older ones – may be damaged by missing mortar or even bricks. A scammer may claim that he noticed from the street that you have such damage and offer to fix it. It's always a good idea to seek a second opinion. Before hiring a contractor, consumers should call their local building codes office to learn whether the business is properly registered, and whether it has been the subject of previous consumer complaints.